Pennsylvania’s York County has jumped on the gambling-expansion bandwagon as several stores from the Rutter’s chain have applied for licenses allowing them to operate video gaming terminals on their premises. If approved, each store will be allowed to run no more than five video gaming machines (VGTs). Dough Harbach, the spokesperson of the Pennsylvania Gaming Control Board, revealed the regulatory body has approved as many as 23 truck-stop locations across the state. According to Harbach, the launch of the machines is to take place no sooner than the first quarter of next year. Members of the Gaming Control Board will have to inspect the locations on site in order to verify their licensing applications. VGTs operate on the same principle as slot machines where the outcome is generated on a random principle. The machines work with cash only and will have their maximum bets per round restricted to $5. The maximum payout a customer can win is limited to $1,000. Their mandated average theoretical return will also coincide with that of video slot machines and is to be around 85% but the difference here is customers will play against each other instead of against the house. The state is to collect over half of the overall revenue generated by these machines, with 42% going to Pennsylvania’s General Fund. Additionally, York County is to welcome a new mini casino on its territory. Penn National Gaming announced in September it has chosen the York Galleria shopping mall in Springettsbury Township for the purpose. The mini casino was initially intended to house around 500 video slot machines along with 20 tables games. However, Penn National Gaming later revealed the casino has been designed to feature over 750 slots and 40 table games. According to the operator, this is the perfect choice of location as it enables it to protect its existing market in Central Pennsylvania while generating extra revenue for the state. Data released by the operator reveals the new mini casino will create as many as 200 permanent jobs for the locals along with over 75 construction jobs. 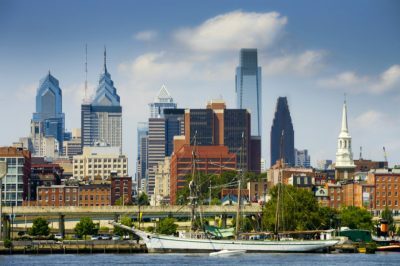 Gaming expansion is in full swing across Pennsylvania after last year’s passing of a bill that legalized online gambling activities within the state. Expanded gambling poured over $385 million into the state’s coffers, with daily revenues amounting to around $1 million, exceeding all expectations as was revealed by PlayPennsylvania’s analyst Jessica Welman. A significant portion of these profits resulted from fees rather than from gamblers’ tax revenue. 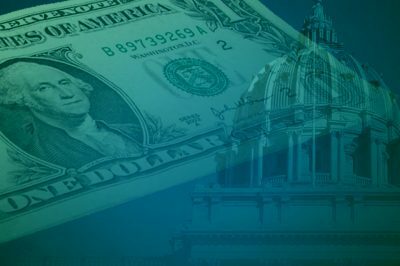 Casino licensing accounts for $94 million according to the figures released by the PlayPennsylvania analysts. Mini-casino auction profits amount to $128 million while the tax revenue generated from Daily Fantasy Sports is only $1.4 million. The analyst’s stance is that further gaming expansion will prove to be profitable for the state but it is necessary to wait for more gambling venues and sportsbooks to open before one can arrive at any certain conclusions. Welman cited the state’s high license fees and tax rates as a possible issue that may prevent expanded gambling from producing the desired results budget-wise.